Sometimes "Coastal" Style is just about that one special piece, not an entire collection. 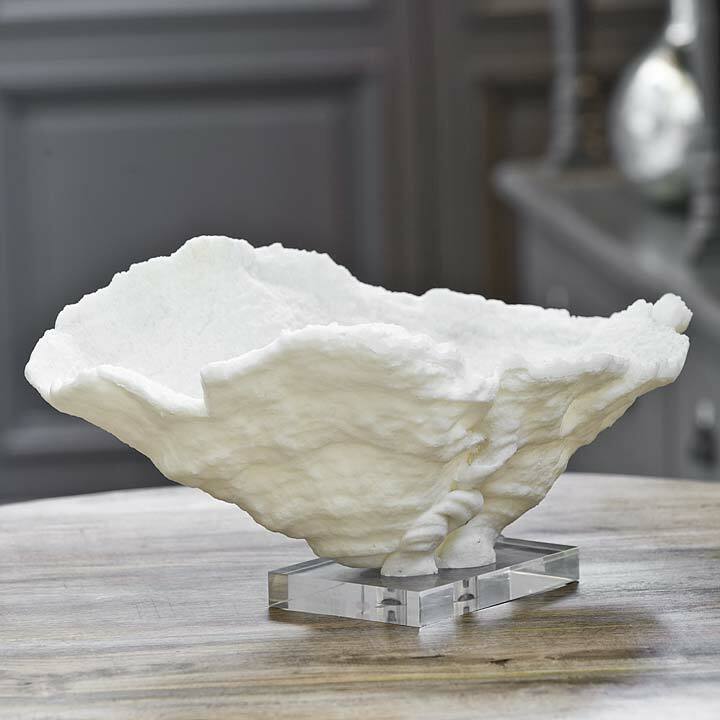 Can you just imagine this simple, organic sea-shaped white coral displayed all by itself on a fabulous antique credenza, or imagine it as part of a creative shore table scape, dressing up a rustic driftwood-like buffet, or hiding in a nook on a towering bookcase? The possibilities are endless for elegant beach style, for bringing in memories of the of the sea, warm sand and wild waves... There's nothing quite like adding a touch of the natural sea and shore to complete a coastal home. The best part? This piece is not real coral, only finely crafted with tiny attention to detail to make it appear like an incredible beach find, allowing one more piece of precious coral to actually stay in the ocean. 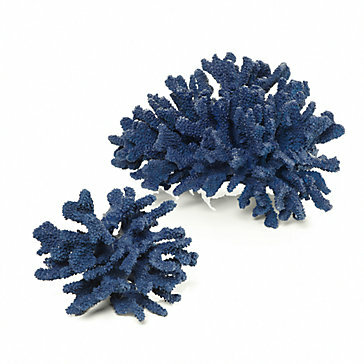 Here are a few more examples for pretty artificial coral! Tried to find a few pieces for you in several colors, to complement any seaside room. From Z-Gallerie - comes in Turquoise, Red and White too! Red Octopus Coral Branch - comes in light blue and white too. Remember, if you truly are an ocean lover, real coral is a BIG NO-NO. 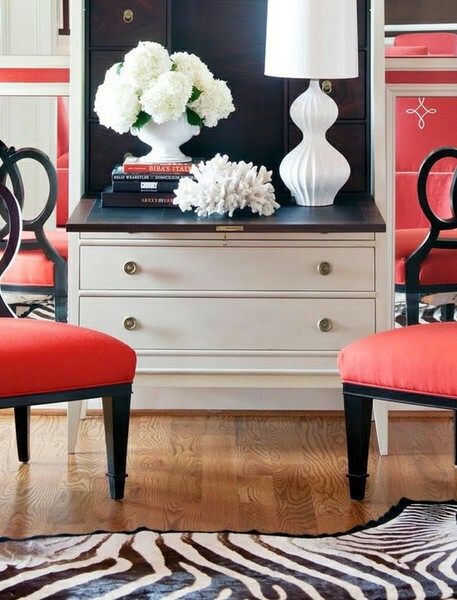 It is possible to find unique, exquisite coral-like pieces for decorating your beach house. We need to respect our planet and leave the real coral where it belongs, on the reef.